Pre-order your official hoodie of the Jumping International of Bordeaux 2019 and come on our stand from Feb. 07 to 10 to pick your hoodie up ! 2 models available : full buttons hoodie or sweat 2 buttons version ! 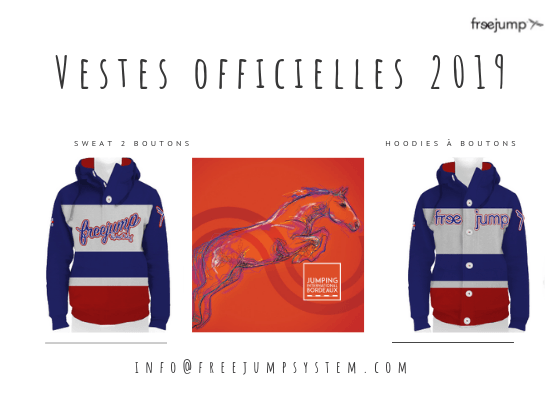 To place your pre-order, please send an email to info@freejumpsystem.com, give your size and the model of your choice. Reservation will be effective with payment only before Feb. 01 !